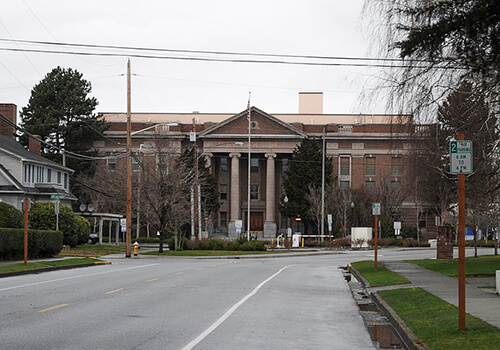 Burlington is a city in Skagit County, with a population of just 8,000 residents. Despite being a small town, car accidents still occur as people need transportation to get through their daily life. A Burlington car accident can be a serious event in your life and it can drastically change your reality. A car accident can result in serious personal injury, property damage, medical bills, lost wages, higher insurance premiums, and more. Whether or not you are insured, you should do everything possible to maximize your settlement. Only an experienced Burlington car accident attorney can help you get the necessary compensation after an accident. The full expenses one may face after a car accident are difficult to accurately estimate. Car repairs, medical bills, and how much time you may lose from work due to an injury are all difficult to know ahead of time. You may lose hundreds or even thousands of dollars in wages alone if you are not able to make it back to work, even if you have the necessary Washington car insurance. This makes it difficult for many individuals to know whether what they are being offered by the insurance company is fair. An experienced Burlington car accident lawyer can help you evaluate the insurance company’s offer and determine whether you may be entitled to a larger settlement. The process for getting a settlement is simple. First, speak with an experienced local car accident lawyer to discuss your individual situation and any injuries or losses you sustained as a result of the accident. Next, your traffic accident attorney will file a claim which the insurance company can respond to. Once the insurance company has issued a settlement offer, you and your attorney can discuss whether accepting the offer is the right decision for you. If not, you should make sure you hire an attorney who is not afraid to take the case to court. If you have been injured in a car accident in Burlington, WA, contact a Burlington car accident lawyer right away to discuss your case. At MyTrafficMan, our top caliber Burlington car accident attorneys have experience dealing with just about every type of car accident. Our attorneys are thoroughly vetted and you can contact them directly at any time. With a network of attorney offices in Bellingham, Skagit County, Bellevue, and Vancouver, Washington, MyTrafficMan is a link to a select alliance of top caliber lawyers for Legal Care in DUI, criminal defense, car accident claims, and speeding ticket violations. Call MyTrafficMan today at (360) 734-0908 to schedule a free in-depth consultation, or click here to get legal advice from an attorney right now.